A month after 17 tornadoes swept through North Texas, hundreds of storm victims are still struggling with recovery. 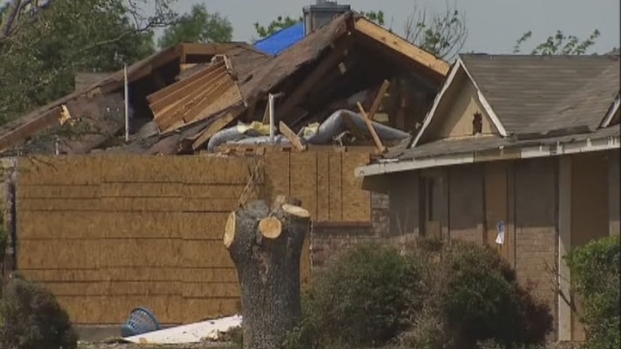 Around 300 structures were damaged by the April 3 EF2 tornado that struck Lancaster. About half of them were destroyed. "We're still displaced," said Andrea Harris, a single mother of two young boys. "There's a lot to go through. It's a traumatic experience and it's still so real even though it's been a month." Evidence of the on-going recovery is all over Lancaster, especially the blue tarps that cover damaged roofs. 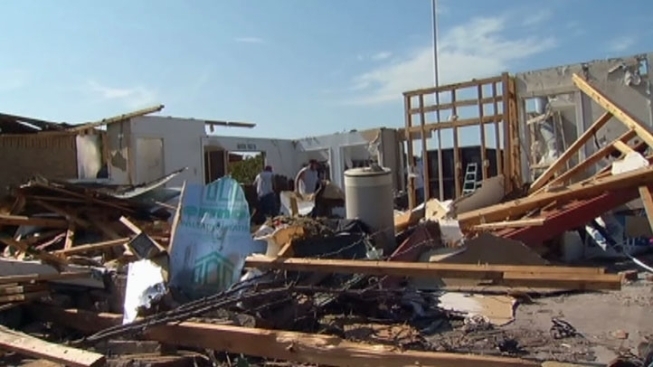 Residents are still picking up the pieces one month after an EF2 tornado tore through Lancaster on April 3, 2012. Contractors are working on repairs and some residents are living in damaged homes again. "We'll be alright now," said Dexter Dowl a homeowner you just got a new roof. "I just hope that everybody else comes out on top." Other homes will require months of additional work and some that have been cleared to the slab may not be rebuilt. "It still hasn't sunk in that it's gone," said Pat Davis, whose home was destroyed. "I think I'm coming back to my house in a few days or so." Jeff Morgan's home looks better than many from the outside, but the brick work is loose because the tornado lifted the roof and set it back down. Extensive structural work is required, so Morgan and his wife are living with their daughter. "It is inconvenient," Morgan said. "Of course we are fortunate, it could be a lot worse. But it's definitely an inconvenience, quite complicated when you have to make that type of transition." Lancaster held a town hall meeting Thursday night to hear the challenges residents face.